On the felt there are always three main factors that you should always take into consideration. To begin with you need to evaluate your opponents and try to figure out which is the best strategy in order to obtain the maximum advantage against them collectively and individually. Secondly, you need to pay attention to the your initial holding cards, especially in a game like Texas Hold’em which only consists of two holding hands, due to the fact that there is only 142 combinations you may have. The third, and probably most important factor you should be taking into consideration, is position. What exactly do we mean by position? Basically, whilst playing poker you always circulate the dealer button clockwise so each player will eventually be the button, the small and big blind, for example in order for the game to be fair. You should always keep in mind that the dealer button is the most favourable position to be in, and the expected return on investment on any starting hand is increased as you move towards the dealer position. The worst position to be in is called 'under the gun'. This is the player sitting directly to the right of the big blind. The reason that this is the worst position, and not the small blind, is the fact that at least in pre-flop play, which is actually quite important in Texas Hold’em, you have the opportunity to act second to last, just before the big blind. So you have a strategically placed advantage where, in most situations, you will not be overcharged to play a holding you don’t want to. Also, it is very important to understand that the essence of position is not to be at the best position over the whole table, but to be in position against certain opponents after the flop. For example, if you are in the big blind and the small blind decides to raise you, must keep in mind that you still hold position against him. The important thing to consider is on the flop, turn and river, which will be acting last and thus gaining more information from his opponent’s actions. What Cards you Should Play in What Positions? What cards should be played in what position is a question, easier asked than answered. One key point you should remember is that you should never play weak Aces out of position. If you manage to catch most pair out of position against one opponent, you will likely be paying him three streets. If you are in position you have the opportunity to get away from the hand after one or two bets against a solid opponent. Another situation where position does matter is when playing a medium pocket pair, in which case information is very important in order for you to assess the strength of your hand post flop. A case where position does not play much importance is when you are playing suited connector. It is helpful for your opponents to act first because it gives you the chance to calculate your estimated value, and gives you the opportunity to semi-bluff. But this isn’t as important as a hit or a miss. Does the Number of Players Affect the Importance of Position? The answer to this is definitely, yes. When playing a 10 person poker game, the importance of position does not matter as much as playing heads up where your position is considered more important than your starting hand. The reason for this is that if your involved in a hand post-flop against 4 or 5 players, even if you have position, your chances of successfully bluffing the pot are very low and the chance that you can approximate your opponents holdings even lower. 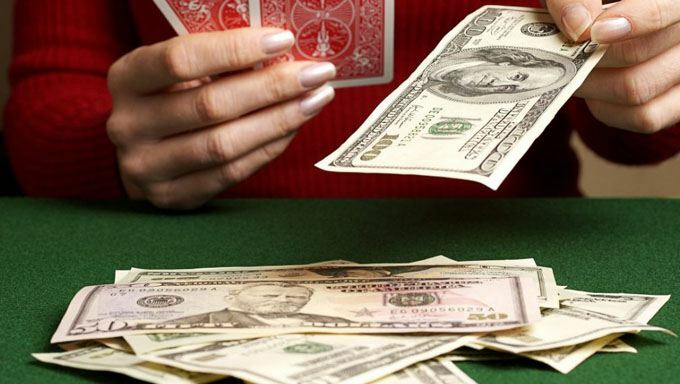 If you’re playing heads up on the other hand, since the chance of your opponent not connecting with the flop is above 60%, your chances of bluffing the pot are greater. Probably the first time regular players got a real glimpse of how position is important in poker was observing the great Gus Hansen. They called him crazy, outrageous, and even idiotic, due to the fact that he appeared to play any two random cards at any given moment. The truth was different. Hansen knew that in Texas Hold’em your position can be as equally strong as the cards you hold. So even though he looks like he is willing to play anything, there is a wise method to his madness. The reason Hansen plays this way is because his post flop game is so advanced. With a good enough read on his opponent, it doesn’t really matter what cards he is holding. Even though most of you might not have heard of this before, you can actually watch miss Obrestad, during the whole tournament session, playing with a piece of paper in front of her card holdings. She is the only recognized person today who has managed to win an online poker tournament, without the use of her hole cards. All she needed to do was observe the patterns of her opponents and play aggressive in position. Truly a great feat, especially for such a young lady, and if you have the time, I would definitely recommend checking out this video.